Introducing a smarter way to manage your data. DATA IS DOUBLING. YOUR BUDGET ISN'T. Solve the data deluge with Komprise, smarter data management that’s a breeze to adopt, scale and save—big. This much data needs to be managed with insight to make smart storage decisions and save costs. 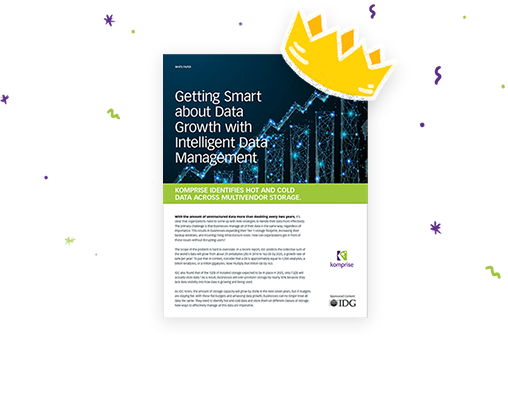 Read the IDG white paper that discusses a new strategy to handle data more effectively that starts with greater insight for smarter management. Check out these resources to learn more about how Komprise can better manage your data. Make the most of your data and save with Komprise.